The University of Illinois in Champaign, along with its researches and scientists, are now supporting pest control efforts worldwide thanks to a very generous donation from a former alum. Roy Barker, a former graduate student at the University of Illinois, donated just over $1 million to establish an endowed faculty position that will research all things insects. The hope is that the university’s entomology department will now be able to recruit top researchers to better understand insects and how to best control them. The donor, Roy Barker, grew up on a Missouri farm and witnessed his family’s crops be destroyed by troublesome insects like crickets, grasshoppers, and flies. This motivated him to study insect control, and the best ways to eliminate pests more effectively. Barker, who passed away earlier this year, received his Ph.D. in entomology from the University of Illinois in 1953. He spent his career working in research labs for the U.S. Department of Agriculture and in industry. This commitment to insect and pest research is a breath of fresh air in a time where cash-strapped universities seem to be more concerned about competing athletically on the field then improving research efforts in the areas of science and technology. While millions of dollars go to the funding of athletic teams, coaches and facilities, per-student funding for public universities has steadily declined 37 percent since 2002. The latest report from the National Science Board, the governing body for the National Science Foundation, found that Illinois’ 37 percent decline in per-student funding was the fourth-largest cut in the country. University of Illinois officials are pointing to Barker’s donation as a key example of how they are continually relying on private donations as state money has declined. The university has used some of the $1 million donation to start a program expected to develop computer animations that will help educate people around the world about how to safely eliminate pests that threaten their crops. One video, for example, explains how farmers can make a chemical-free solution using seeds and water to spray on the crops. The donation is also helping to kick-start additional pest control programs, and gives the university more flexibility to try out new things. As pest control operators, we understand that the pests we treat on a daily basis are constantly evolving. They are becoming more and more resistant to our treatment plans and immune to our pesticides. 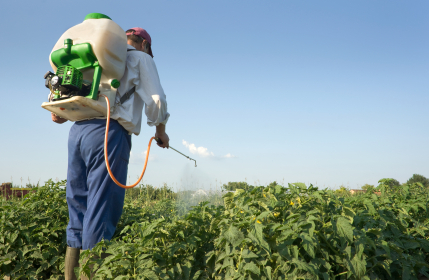 Continued research in the field is needed so the world’s pest control operators can stay one step ahead of the pests. Donations like the one Roy Barker made to The University of Illinois will go along way in better understanding our adversary. All of us here at Bulwark Pest Control commend the efforts of Roy Barker, and other pest control pioneers, for their constant and continued efforts to better understand the world’s pests.